Dhikala is the most visited & largest zone of Corbett national park. Situated on the edges of the valley Patli Dun, Dhikala Zone is dotted with picturesque natural vistas and is considered a good site to spot herds of elephants, chitals and deer as well as Bengal Tiger. 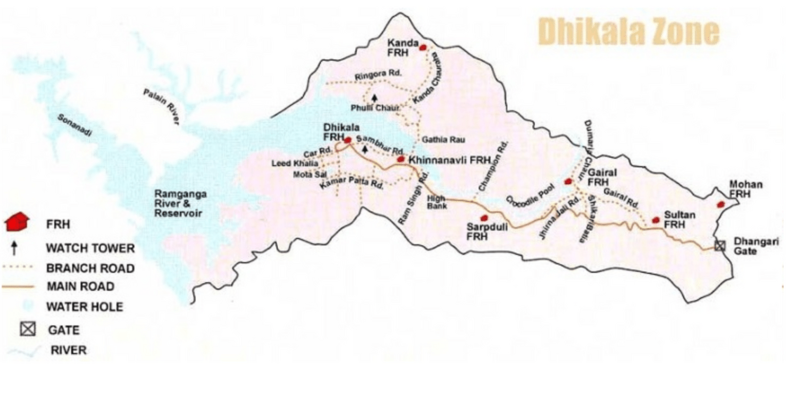 One can reach Dhikala via Dhangarhi gate which is around 20 kms from Ramnagar. Canter safari only happens in Dhikala zone of Corbett National Park & it is the only way to explore Dhikala zone if you are not staying in any Forest rest house in Dhikala zone.